The SleepShield For Mobile Phones puts a thin, transparent layer between the blue light rays of a cell phone screen and the eye, omitting the source of brain stimulation often associated with digital media screens. 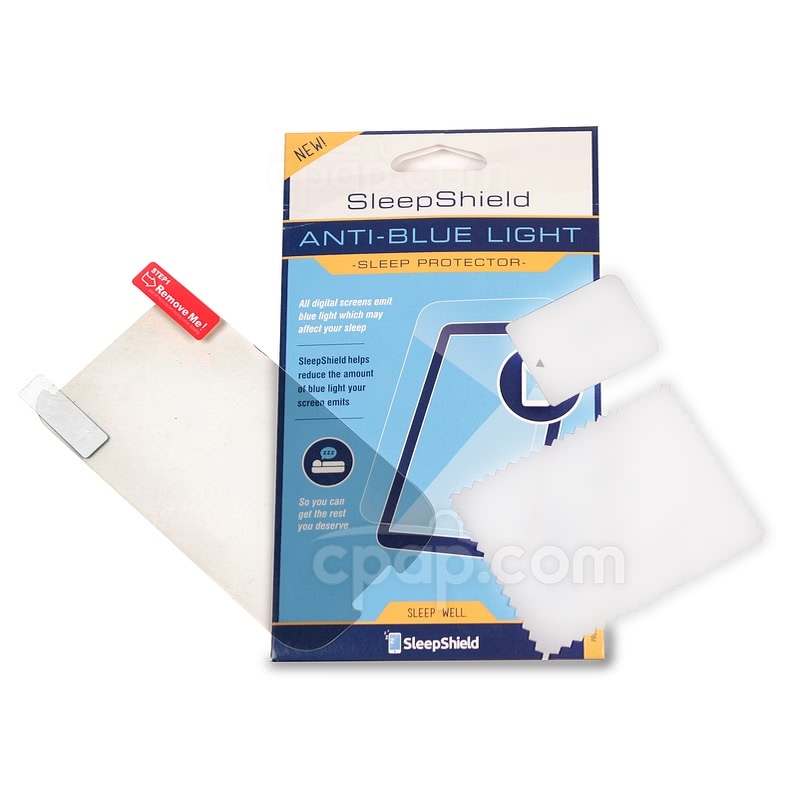 The SleepShield For Mobile Phones is a transparent layer placed on the screen of a mobile phone to reduce blue light. 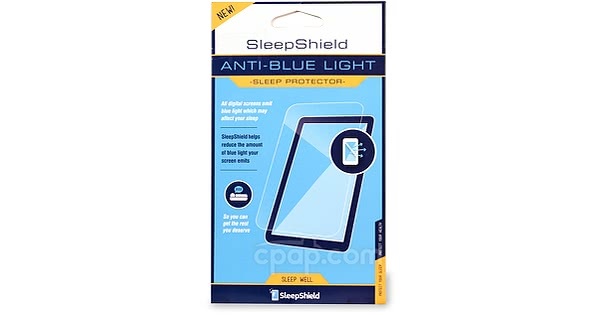 This is one Sleep Shield in selected size only and does not include a mobile phone or any other product. Studies have shown that exposing the eyes to electronic devices engages and stimulates the brain, making it harder to fall asleep if the exposure is a short time before bed. It is the blue light from the devices which has been shown to cause this. 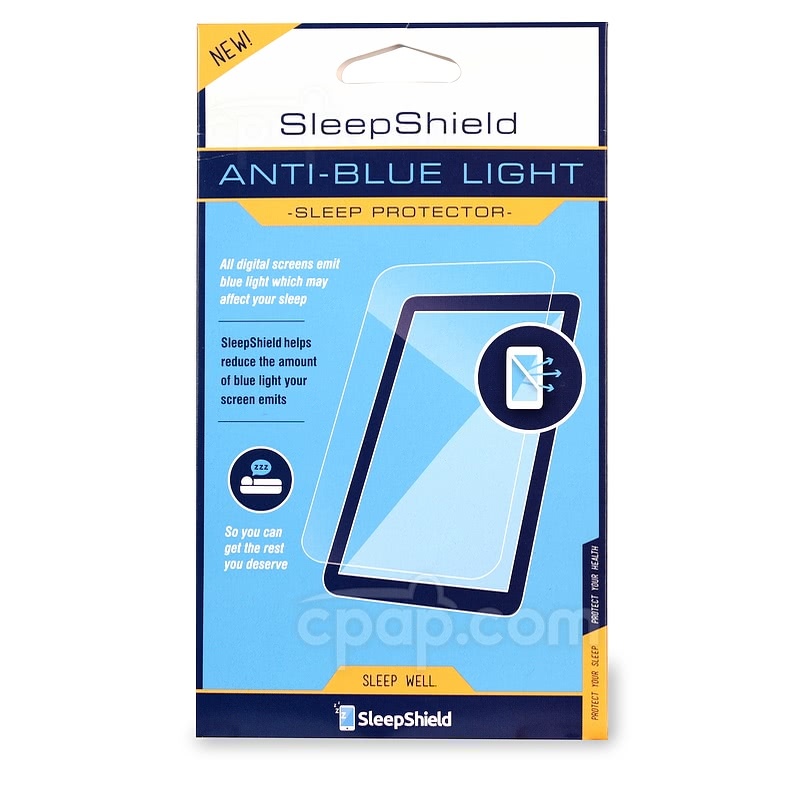 The SleepShield will block this blue light without changing the screen color itself. The SleepShield is washable and reusable, so it can be taken off of the device, washed, then replaced as needed. Included is a soft cloth to clean the device's screen prior to applying the Sleep Shield so that it adheres properly and securely. 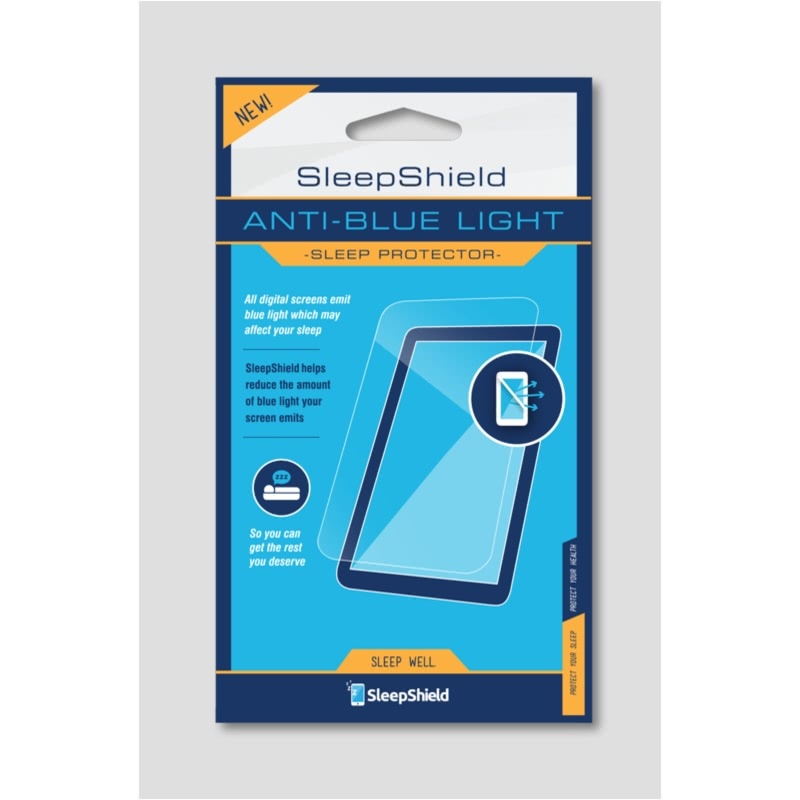 Although the major benefit of the SleepShield is it's blocking of stimulating light to help the user ease into sleep, it is still a screen protector. 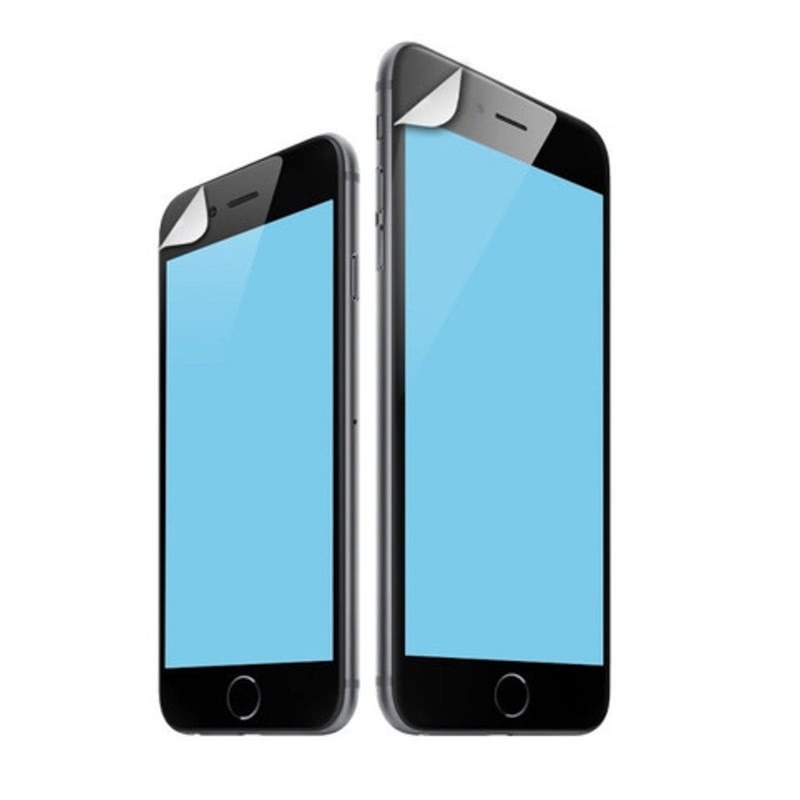 It will help prevent scratches by acting as a barrier between the screen of the device and other objects. Choose desired size when ordering. Looking for a SleepShield that will fit a tablet? See the SleepShield for Tablets. The SleepShield For Mobile Phones DOES NOT include a mobile phone. This product is the screen shield only. Clean the screen thoroughly using the included cloth. Peel the "Step 1" cover from the SleepShield. Align the SleepShield, adhesive side down, to the device's screen. Use the included scraping tool to remove any air bubbles between the SleepShield and screen. Peel back the "Step 2" cover from the SleepShield.